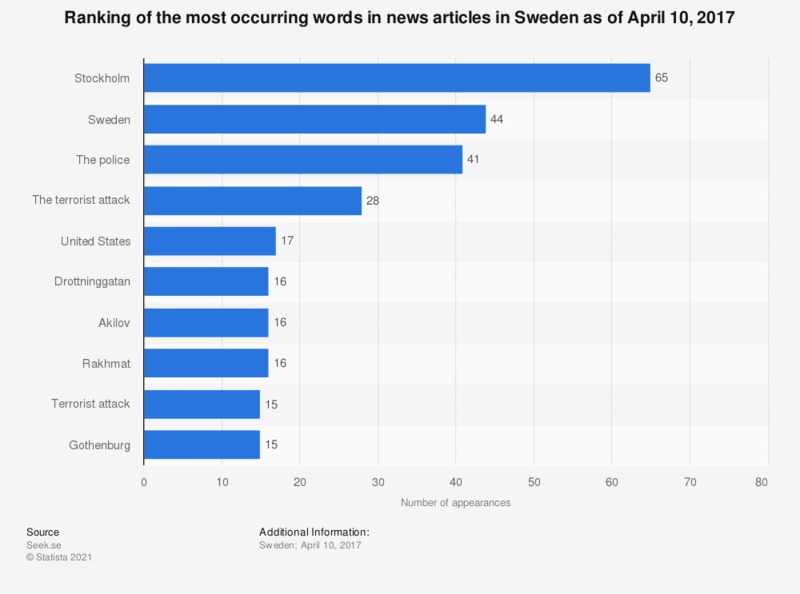 This statistic shows a ranking of the most occurring words in news articles in Sweden as of April 10, 2017. The word Stockholm was used for 65 times in the Swedish news articles on the 10th of April, 2017. The statistic is based on the main Swedish news sources. The words were translated from Swedish to English. The source updates the statistic every minute. What is your commonly used news channel?